Liz has worked in the optical industry for over 8 years as a technician and optician. 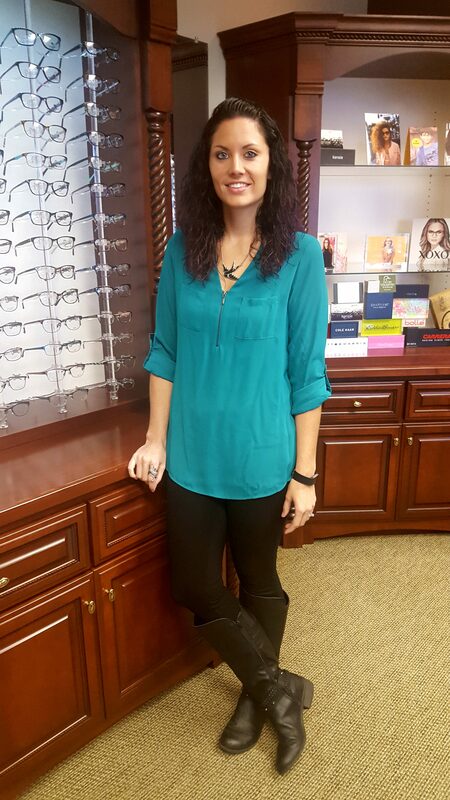 She is a CPC Certified Technician and Optometry Coder that excels in problem solving. She joined our team in November of 2015. Equipped with a strong background in contact lenses, insurance, and patient care, Liz continues to advance her knowledge and skills in order to provide the best patient experience possible. Liz lives in Old Ashippun and enjoys various outdoor activities with her husband and friends.